Question: I have a friend who was from Laos and her husband is dying. Is there anything I can do or give to her to show her compassion during this time? Answer: This is a great question. And a very thoughtful one at that. 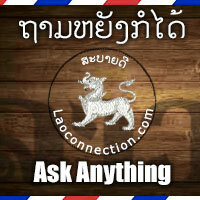 To answer your question, Lao people usually give food. The idea is that because the person is dealing with a sick or dying loved one that when it comes to the food that they will have one less thing around the house to have to do. Also during this time, they often receive other visitors who come to pay their respects to the person who is sick/dying. As such, the host will then offer food and drink to the many visitors. So your gift will help the host tremendously in that regard.